At the beginning of the month, we saw the Chinese Super League title go to Shanghai SIPG. This was the clubs first league title and the first time a team other than Guangzhou Evergrande had won the title since 2010. Meanwhile, while the Shanghai club has big Brazilian imports such as Hulk and Oscar it was a Chinese player who made the headlines at the end of season awards. This player was the 27-year-old right winger Wu Lei. Wu Lei is a Chinese footballer that has played his whole career with Shanghai SIPG making 344 appearances. The winger also as 57 caps for his country China scoring 12 goals in the process. While the player made his debut for his country in February 2010 in a 2–0 win against Hong Kong. While the player as impressed hugely for his club side since making his debut in September 2006 in a 5–3 loss against Yunnan Lijiang Dongba. This match saw him break his first record as the youngest ever player to play professional Chinese football aged 14 years and 287 days. Since then he's gone on to be his clubs record goalscorer with 169 goals, averaging more than a goal in every three matches. Wu also scored a hat-trick for his club in June 2013 against Shanghai Shenxin. This was not a record but did make him the second youngest player to score a hat-trick in the CSL. The player has continued to impress throughout his career also and that was seen once again this season as he scored 27 goals in 29 matches for the club. He also managed four goals in nine matches for China in 2018, a record that's pretty impressive when you consider his clubs poor recent form. The player has won a load of individual awards in his career already as Chinese Super League Domestic Golden Boot winner in 2013, 2014, 2015, 2016 and 2017. While he also appeared in the Chinese Super League Team of the season in 2014, 2015, 2016 and 2017. 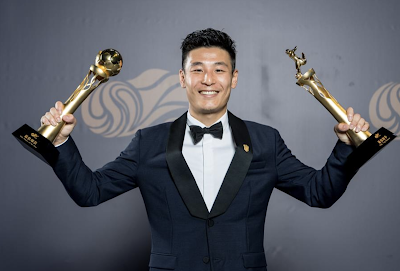 Then at the Player of the Year awards, last week in China Wu Lei stole the headlines as he picked up the Chinese Football Association Footballer of the Year. On top of this, he won the Golden Boot and was named in the CSL team of the season. The wingers impressive season is even more remarkable when you realise that from the 2008 to 2017 season, the CSL top scorers were all foreigners. Meanwhile, he was only one goal of Elkeson's record of 28 goals in a single season. Wu is clearly a very humble player as he said at the awards evening "I did not expect that I could win this award, my thanks will go to director Xu Genbao, the coaching staff, my teammates and my fans." Yan Junling, Li Xuepeng, Feng Xiaoting, Zhang Linpeng, Wang Tong, Huang Zichang, Jose Paulo Bezerra Maciel Junior, Oscar Santos Embonaba Junior, Jin Jingdao, Wu Lei and Hulk. 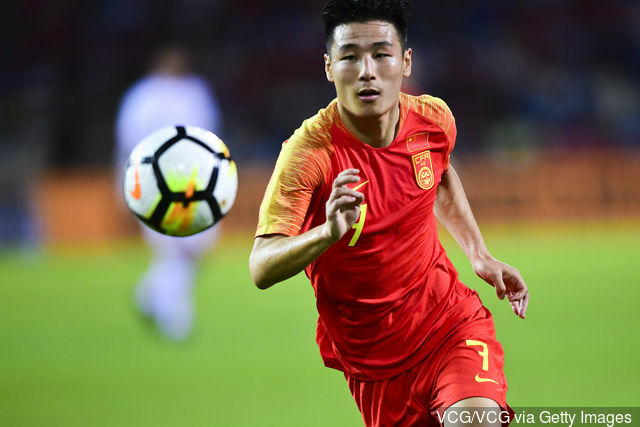 Will we see Wu Lei at a European Club soon? Unsurprisingly these displays have not gone unnoticed around the footballing world. We saw this when this summer Wu Lei was linked with a move to England with Wolves his likely destination at that time. He then hinted at the end of the season that he would be open to a move away from China. Although he did suggest he would have to be guaranteed game time. This was seen as he was quoted explaining his situation as he said "first of all, at my age, if I go abroad I must play, this is very important," Wu said. "In the right environment I can really improve and I can help the national team when I come back. I think it depends on the timing and various other factors." With the winger still under contract with his club till 2020, it is unclear at the moment if he would be open to running down the contract. As a free agent, he would then be available to clubs for free which could work in his favour. Although with the money that is spent around the top European leagues you would imagine a transfer for the player would not put them off. It is hard to say just how good the player would be at a top club but it is clear that he's got all the desire to achieve at a high level.